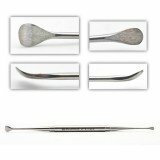 Commonly used oral surgery curettes vary widely in size and style. 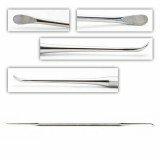 Popular patterns include Molt and Slaughter double-ended oral curettes with angled and curved and single-ended curettes with paddle-style blades. If you don't see the surgical curettes that you are looking for, contact us. We can reference any catalog number from any company.